This shot also shows the half-feathered beak characteristic of Adelies and how stocky and powerful they are despite their diminutive stature. 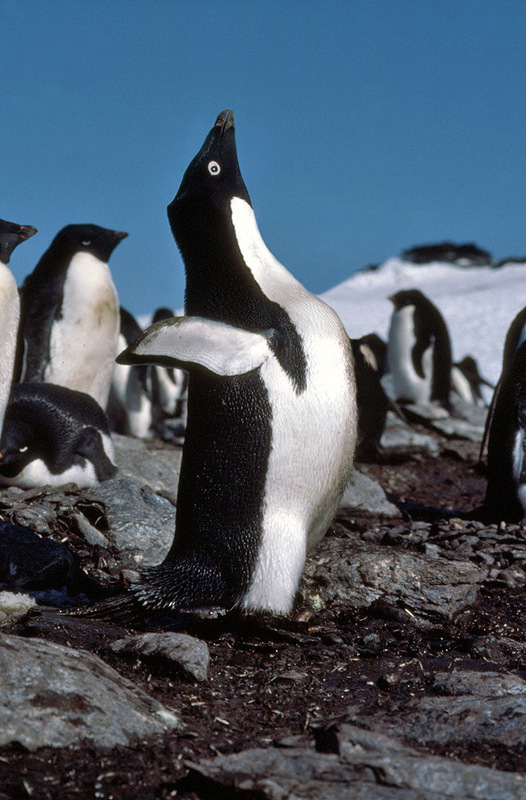 A friend I was with on a similar occasion was attacked by an unhappy Adelie that had decided he was too close to the nest. My friend described it as "..like having 5kg of solid muscle hanging from your skin by a pair of pliers" - please don't try this at home.